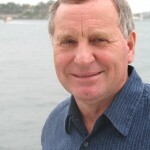 Dr David Smith holds a PhD in Organisational Psychology from the University of London. He is a Professor at the University of Hertfordshire Business School. He is a Fellow, and former Chairman, of the Market Research Society, a Fellow of the Chartered Institute of Marketing, and is also a Fellow of the Institute of Business Consultants. He is a former Vice President of ESOMAR.